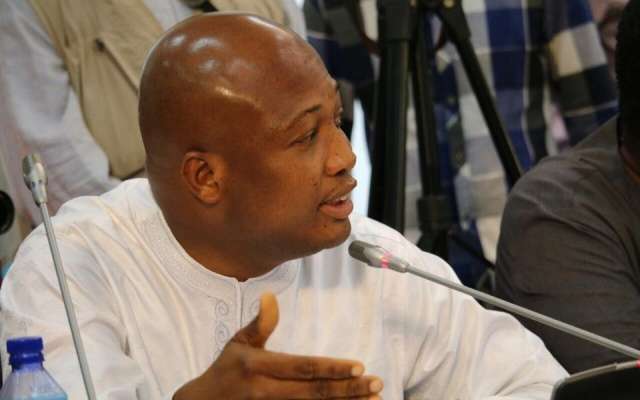 Ghana's minority leader for international affairs, Mr. Ablakwa has been axed from Parliament for not controlling himself during last week's sitting at Parliament in Accra. According to our journalist on the ground, Mr. Ablakwa was involved in a heated debate on the reasons why the Ambassador of Ghana to South Africa should be pulled down. This debate unfortunately made the minister fart in public.According to the report we have on our table at the moment, the unprecedented transitional power of the fart caused the lights and air conditions to stop working for some minutes.It was also revealed that, most people around had to take home with catarrh and some serious headache. The disciplinary committee therefore have decided to suspend the minister so he takes this moment to visit the hospital.